Travelling to another country sometimes has its little hiccups. Preparation is key! Planning a trip to Costa Rica? Read some useful hints below. Costa Rica transport options are numerous but which one should you take? The differences are what I like to call PCQ; the difference in price, comfort and quality. It is totally up to the traveler which one they value. My advice, when experiencing a country for the first time, is to aim for all three so that you have the best experience! Of course you may want to just try Costa Rica car rental. #1 Public Bus (buses de Costa Rica): The public bus is one of the best transport methods price-wise and great a way to mix with local people…..but you are exchanging this for comfort, quality and safety. Public buses are privatized and schedules difficult to get a hold of. If you don’t get on at the main station than you can sometimes have to stand and they can be cancelled at any time, or arrive late. Many times the buses are overcrowded and hot and you have to be aware of pick- pocketing. However, if you are looking for cost effective transport in Costa Rica and you don’t mind the heat and uncertainty, then the bus is for you! #2 Private Transfers: If you are looking for maximum PCQ (Price, Comfort and Quality) then private Costa Rica transportation would be the best choice. Most companies use vans or microbuses (called ‘buestas’ in Costa Rica). 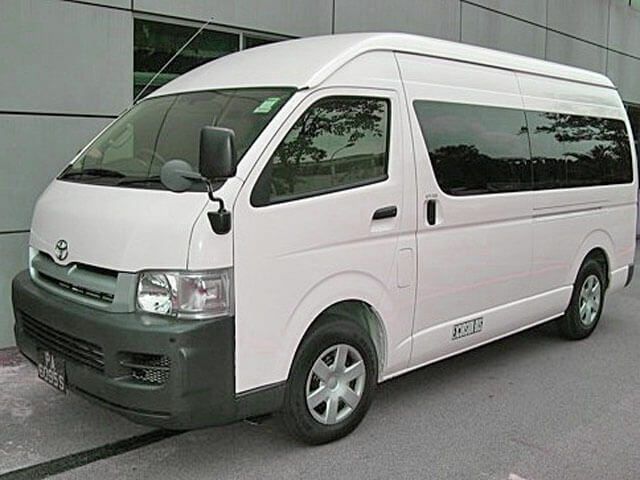 These private transports would be just for your group or family. They can pick up directly at the airport or a hotel at the time you want and drop you directly at your destination hotel. The vans are equipped with cell phones, seat belts, and A/C and have full insurance. Private transportation also allows for more stops along the way to eat or take photos. Most drivers speak only a little English but do not worry as most drivers are very used to taking tourists around and always seem to be able to communicate. If you book with a tour office then the driver will have access to English speaking people in the office and can always pass you the phone. You can also pay extra for a driver that can speak English or add a guide to travel with you for extra cost. 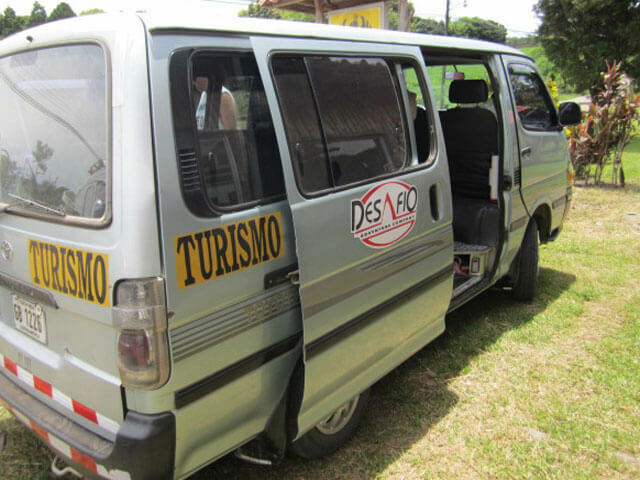 #3 Costa Rica Shuttle: Shared transports (often called collective transports or shuttles) take up to about 8 people. They are cheaper than private transports and they offer comfortable seats and A/C. However, times and routes are much more restricted and although shuttles can drop off directly at the airport, many cannot pick up from the airport (you can wait at a nearby hotel). Many Costa Rica shuttle companies only pick up from main hotels. #4 Taxi-Boat-Taxi Monteverde to Arenal: Specific service to get from Monteverde to Arenal or vice versa, this mode of transportation is the fastest way between the two places and takes 3-4 hours. You will spend about 2 to 2.5 hours in land transport, 30 minutes on a boat crossing beautiful Arenal Lake at the foot of the volcano, plus break times. The route is bumpy coming up to Monteverde and you have to carry your own luggage to get on the boat. #5 Horseback Monteverde to Arenal - Adventure Connection: There is an option of taking land, boat and horseback ride to get from Monteverde to Arenal and vice versa. Quite an adventure! It is more or less like the taxi-boat-taxi with a 2.5 – 3 hour horseback ride included, a great way to experience the countryside! Besides the five options above there is Costa Rica car rental and local flights (to limited destinations). And there are also more Adventure Connections that can take you to place to place with a tour along the way.